Could the timing be any worse? 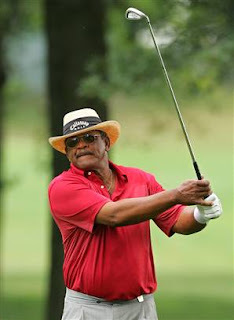 Tonight Golf Channel airs a documentary called Uneven Fairways, hosted by one of my favorite actors, Samuel L. Jackson. Jim Thorpe is in deep trouble. He could be sentenced to 7 years in prison and a $3.2 million fine. Oh my! How does this happen? Thorpe has an incorporated company; he’s made $13M in his career. He must have an accountant. Where is he/she in all this mess? Nope, this doesn’t make any sense to me. I am sure we’ll hear more about this over the next few days, but this is really sad and couldn’t have happened on a worse day. Some might almost wonder if the district attorney did it on purpose. Obviously Thorpe’s been investigated for some time now. But is it just coincidence that the DA filed charges on the day Uneven Fairways was being debuted? I don’t believe in coincidences. Something stinks here!